The October 21st Home game at Mosaic Stadium will be featuring the MUAV movement. A new MUAV PSA entitled “MUAV – Redefining the Locker Room” will be screened at half time featuring the Rams Coaches and Players. This will be a first in a series of PSAs supported by UofR Athletics. The Rams will be wearing purple athletic tape and we will have swag for sale and purple fan giveaways. MUAV will also be partnering with JC Realty and Jason Clermont in the AGT Lounge that afternoon. Our new Director of Athletics is heading up the latest Team Photo Shoot with all our University of Regina Cougar and Rams teams entitled “UofR Athletics – Proud Supporters of Man Up Against Violence”. 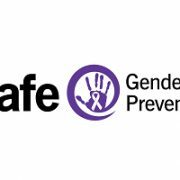 This promotion will be unveiled with a statement from Director Lisa Robertson outlining initiatives that support the work of MUAV and the Office of Gendered Violence. Purple Pancakes have become a signifier of the fantastic upcoming week planned in October at the UofR!. Celebrities, political figures and our own campus leadership are scheduled to flip and deliver first thing Monday morning! Can’t wait to see our Chief of Police Evan Bray in a purple apron! MUAV students will partner with the Justice Students Society, Amnesty International Student Group and Engineers Without Boarders to host tabling in the Riddel Centre to discuss the mission of MUAV, Saskatchewan violence prevention initiatives and all our activities on campus throughout the week. The UofR Campus Security, along with our RPS liaison, UofR women’s centre, the URSU Student Advocate, the Saskatchewan SAFE nurses, and Regina Sexual Assault Centre will work together to raise awareness around our UR Campus options and processes involved in reporting Sexual Assault. This team will host an information Expo on Tuesday of our MUAV week. A Better Man is a 2017 Canadian documentary film co-directed by Attiya Khan and Lawrence Jackman in which Khan, a survivor of domestic abuse as well as a domestic abuse counselor, meets with her former abuser to see if he can take responsibility for his actions. A Better Man was crowd-sourced through an Indiegogo campaign, with Feist among the contributing 10,000. The campaign went on to raise over $110,000 – one of the most successful crowdfunding campaigns in Canadian history. The Saskatchewan Federation of Labor will be hosting an information table with our UofR Faculty Association and the University Employees Union CUPE 1975 to speak to the most recent matters around domestic violence in the workplace. 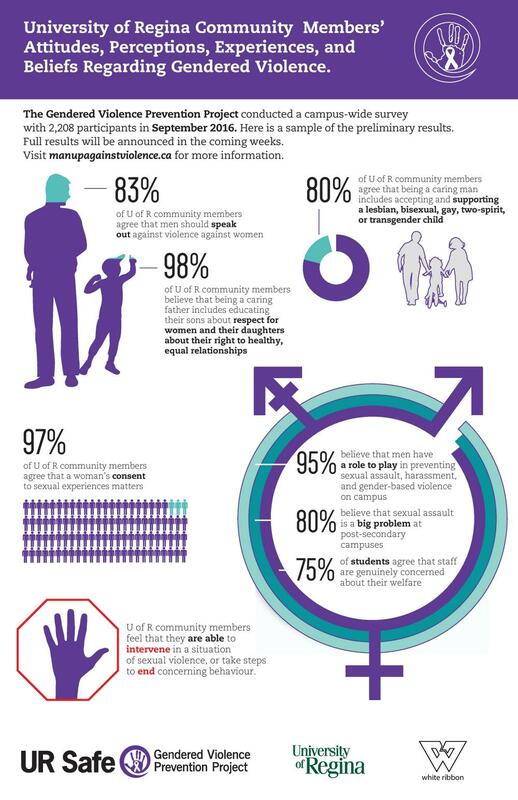 This includes awareness and training along with current legislation addressing paid leave benefits for those affected by DV. This table will also work to raise funds for the RSAC by selling Hill Berg and Berk special addition earrings. On Friday morning, MUAV, and OGVP and our External Relations will partner with PATHS to host a News Conference around the findings and outcomes from a recent federal grant tasked to look at the issues and impacts of domestic violence in the workplace. A partnership between the Saskatchewan Chamber of Commerce and JDC West Students is scheduled for Friday afternoon. A mentoring social will focus on discussions around the outcomes of the PATHS news conference and the role of business in addressing the effects of intimate partner violence in the work place. In partnership with MUAV, OGVP and the YWCA, the Owl will undertake the Never Blame the Victim coaster campaign. This will include using coasters to convey this message along with informational video clips that will be shown periodically through the day.